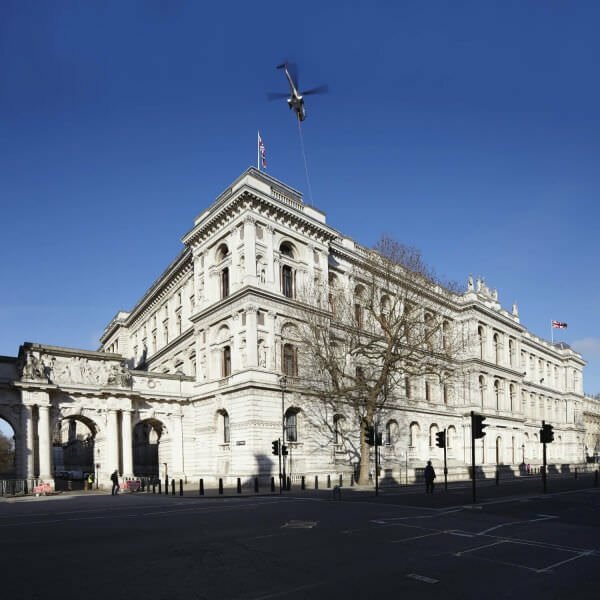 On a crisp, clear winter’s morning Helirig lifted Air Handling Units and Condensers onto the rooftop of the Foreign and Commonwealth Office (FCO) in central London. 10 lifts with a maximum weight of 2,500kg were quickly completed inside 30 minutes. 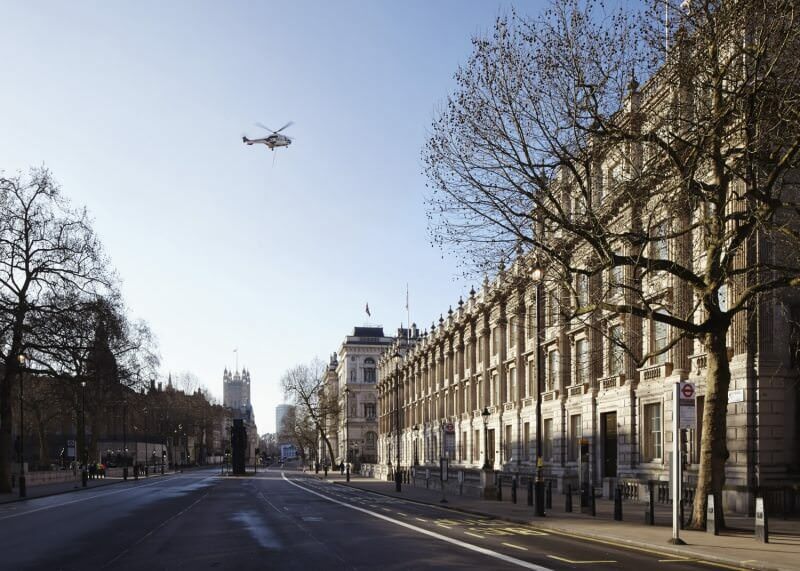 With no road closures and staff still able to access the building while work was underway, there was no disruption to London’s famous neighborhood. The Foreign Office is bounded by Whitehall in front, Downing Street to one side, King Charles Street on the other, and St James Park at the rear. The lift was part of a wider refurbishment programme undertaken by MACE and Capita. Prior to calling Helirig, MACE had attempted to complete the job using a 500 tonne crane with a huge luffing jib. Cranes of this size are extremely sensitive to strong winds, and the work was called off twice causing disruption to the work schedule. With looming deadlines, MACE brought in Helirig and the job was completed swiftly and successfully.